The unit is planned to take 1 school days. ​Living organisms control their composition by a complex web of chemical reactions. Explain the role of urea in the falsification of vitalism. Compare the benefits of a reductionist and systems approach to studying biology. ​Biological processes are regulated by enzymes, whose expression is controlled by gene activation. The relationship between genes and proteins are important in the regulation of system functions. Molecular biologists break down biochemical processes into their component parts known as reductionism. When they look at the sum of all these reactions as a whole, they can study the emergent properties of that system. Systems biology focuses on complex interactions within biological systems, using a more holistic perspective approach to biological and biomedical research and how these interactions give rise to the function and behavior of that system. Reductionist thinking and methods form the basis for many of the well-developed areas of modern biology. This implies the study of areas that make up smaller spatial scales and is very specific and specialized. An organic compound is a compound that contains carbon and is found in living things. Carbon is very unique in its bonding properties. The most important is its ability to form long chains of carbon. No other element can bond in this way. Sodium (Na): Involved in the generation of nerve impulses in neurons. 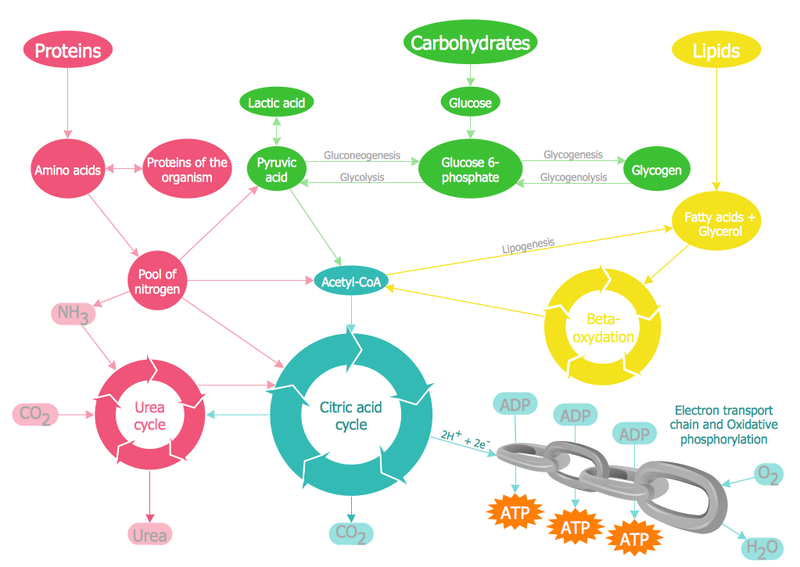 State the role of enzymes in metabolism. Metabolism is the sum of all chemical reactions that occur in living organisms. Metabolism describes the totality of chemical reactions that occur within a living organism in order to maintain life These reactions are catalyzed by enzymes and allow organisms to grow and reproduce, maintain their structures, and respond to their environments. Many of these reactions occur in the cytoplasm, but some are extracellular including digestion and the transport of substances into and between different cells. Enzymes are used to speed up the process of breaking down things (e.g. : pepsin and trypsin help break down proteins as you go through catabolic metabolism, starting from your long peptide chain all the way down to its building blocks, the amino acids. Define anabolism, monomer and polymer. Describe condensation (dehydration synthesis) reactions. Using simple shapes to represent monomers, diagram a condensation reaction. If you can’t remember which one is which, think anabolic steroids are used to build muscles in athletes and bodybuilders and catapults are used to break down walls in wars. Condensation is a chemical process by which 2 molecules are joined together to make a larger, more complex, molecule, with the loss of water. It is the basis for the synthesis of all the important biological macromolecules (carbohydrates, proteins, lipids, nucleic acids) from their simpler sub-units. In all cases of condensation, molecules with projecting -H atoms are linked to other molecules with projecting -OH groups, producing H2O, ( H.OH ) also known as water, which then moves away from the original molecules. ​Using simple shapes to represent monomers, diagram a hydrolysis reaction. Draw the molecular structure of urea. Describe how urea can be synthesized by living and artificial mechanisms. Urea is a component of urine which is produced when there is an excess of amino acids in the body; way to secrete nitrogen. 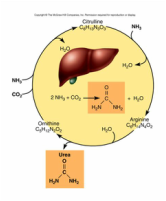 A series of enzyme catalyzed reactions produce urea in the liver, where it is transported by the blood to the kidney, where it is filtered out and excreted in the urine. In 1828, Friedrich Wöhler, a German physician and chemist by training, published a paper that describes the formation of urea, known since 1773 to be a major component of mammalian urine, by combining cyanic acid and ammonium in vitro. In these experiments the synthesis of an organic compound from two inorganic molecules was achieved for the first time. These results weakened significantly the vitalistic hypothesis on the functioning of living cells, Vitalism was a doctrine that dictated that organic molecules could only be synthesised by living systems. It was believed that living things possessed a certain “vital force” needed to make organic molecules. Organic compounds were thought to possess a non-physical element lacking from inorganic molecules. Draw the molecular diagram of ribose. Draw the molecular diagram of alpha-glucose. Draw the molecular diagram of a saturated fatty acid. Identify the carboxyl and methyl groups on a fatty acid. Saturated fatty acid’s are all single bonds and are therefore saturated with hydrogen. 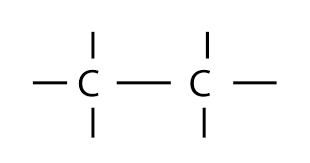 Unsaturated fatty acid’s contain a double bond or double bonds. 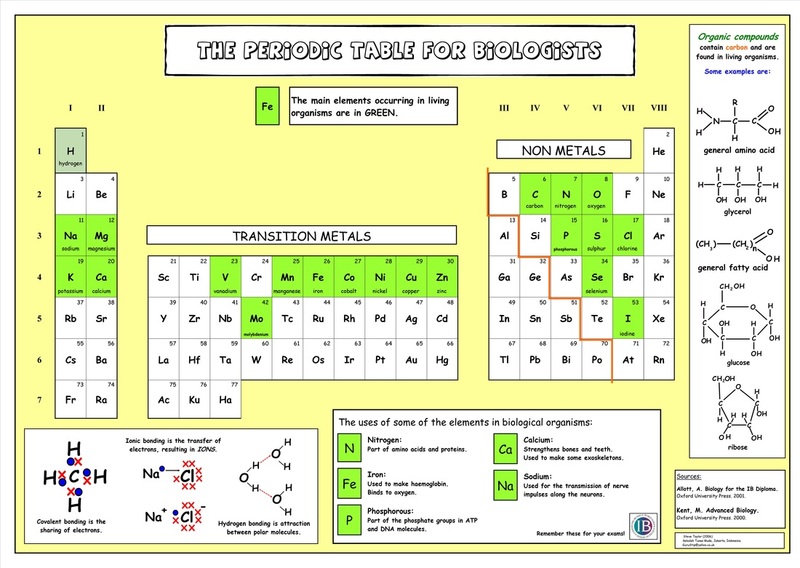 Identify the four major classes of carbon compounds used by living organisms from given diagrams (examples will include D-ribose, alpha glucose, beta glucose, triglycerides, phospholipids and steroids). Compare the relative amount of oxygen atoms in lipids to the amount in carbohydrates. Identify the following lipids from molecular drawings. The structure of complex carbohydrates may vary depending on the composition of monomeric subunits. There are two varieties: ribonucleic acid, or RNA, and deoxyribonucleic acid, or DNA. These polymers are long chains of components called bases, of which there are only five types. RNA is a single-strand molecule; DNA is a spiral of two cross-connected strands. Nucleotides form bonds between the pentose sugar and phosphate group to form long polynucleotide chains. Hank talks about the molecules that make up every living thing - carbohydrates, lipids, and proteins - and how we find them in our environment and in the food that we eat. ​Paul Andersen describes the four major biological molecules found in living things. He begins with a brief discussion of polymerization. 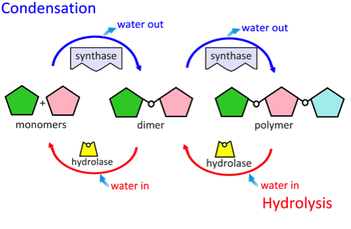 Dehydration synthesis is used to connect monomers into polymers and hydrolysis breaks them down again. The major characteristics of nucleic acids are described as well as there directionality from 3' to 5' end. 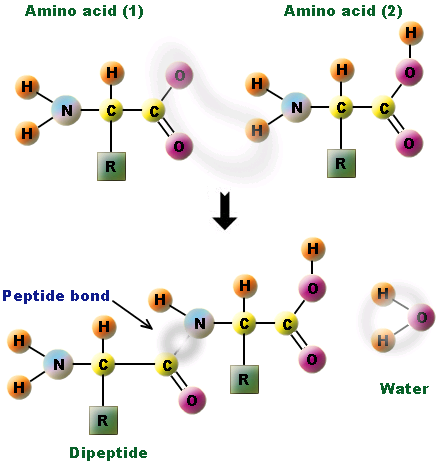 Protein structure is describes as well as the structure of its monomers; amino acids. The carboxyl and amino ends of a protein are described. The major groups of lipids are included with a brief discussion of saturated, unsaturated and trans fats. Finally carbohydrates and their sugar monomers are discussed. 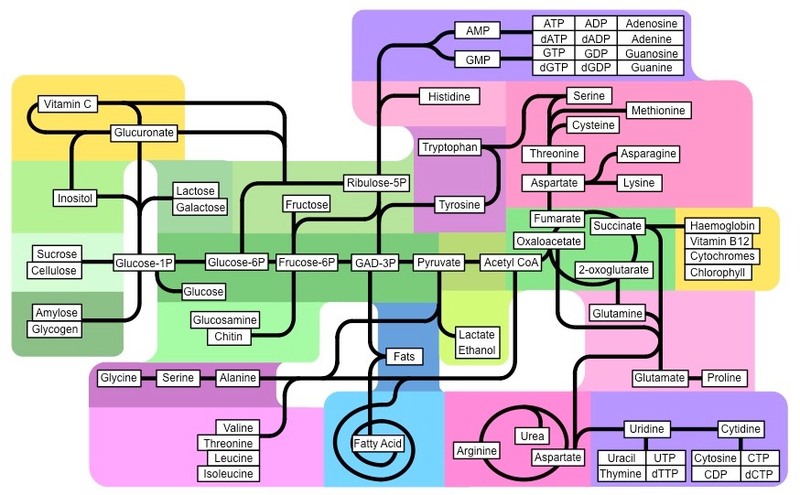 ​Paul Andersen describes the macromolecules that make up living organisms. He starts with a brief description of organic chemistry and the importance of functional groups. He also covers both dehydration and hydrolysis in polymerization. He finally covers the four major macromolecules: nucleic acids, proteins, lipids and carbohydrates. Updated video on biomolecules (macromolecules): carbohydrates, lipids, proteins, and nucleic acids by the Amoeba Sisters including examples, functions, monomers, and structures. ​In this video Paul Andersen describes the lipids (of the fats). He explains how they are an important source of energy but are also required to cell membranes. He explains how the hydrocarbon tails in triglycerides contain energy available for life. He also explains how phospholipids construct, and cholesterol molecules main the cell membrane. Paul Andersen explains the importance and structure of nucleic acids. He begins with an introduction to DNA and RNA. He then describes the important parts of a nucleotide and shows how they are connected through covalent and hydrogen bonding.